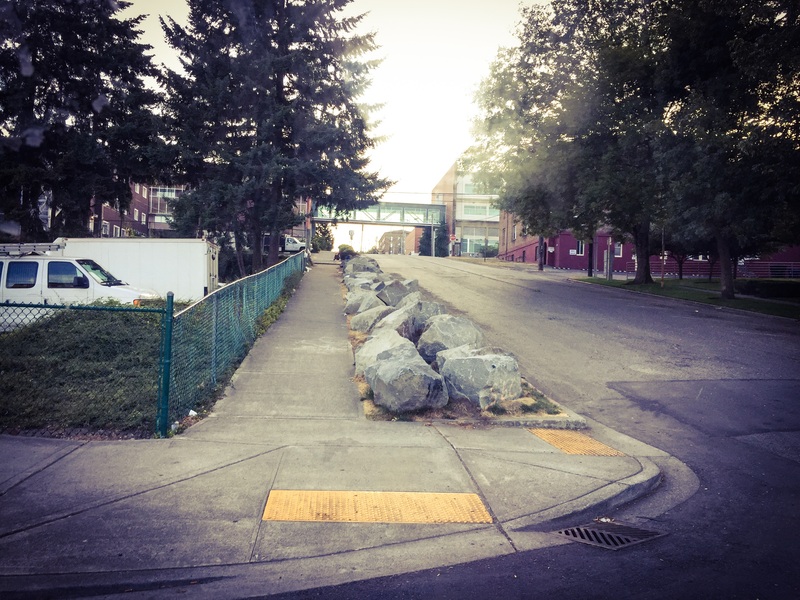 The boulders were dropped on the parking strip on Earnest S. Brazill Street between Tacoma Avenue South and Altheimer Street in June 2015. The strip is between Tacoma Public Library Main Branch and a public parking lot and indeed it was often full of people prior to the great stone drop. Prior to the drop, the area had been identified as one of seven “hot spots” for homeless encampments in Tacoma. When I went passed this evening there was a small group of folks on the still green strip uphill to the west of the boulders. The move was seen as controversial and it is indeed a difficult issue. 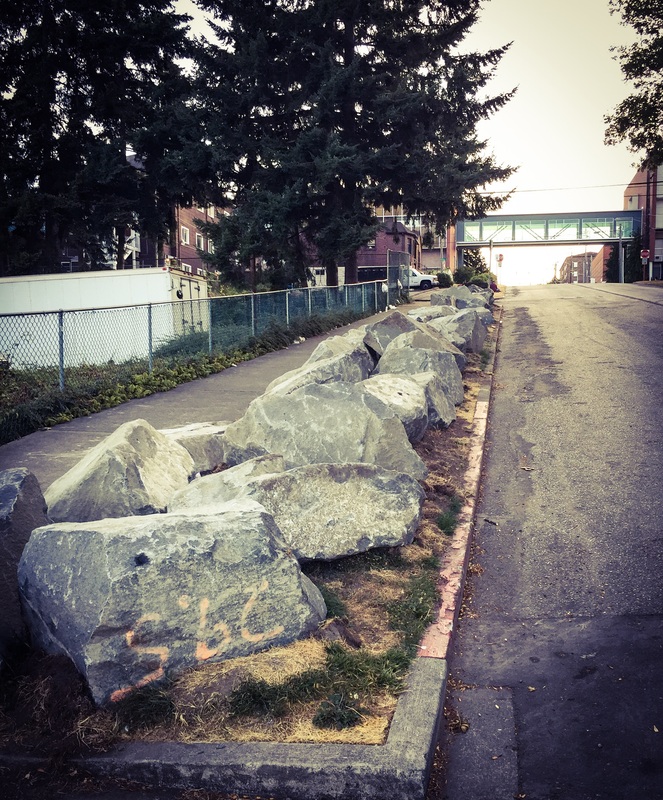 It is the second boulder drop in Tacoma this year with the other drop being under I-705 near the Dock Street offramp. 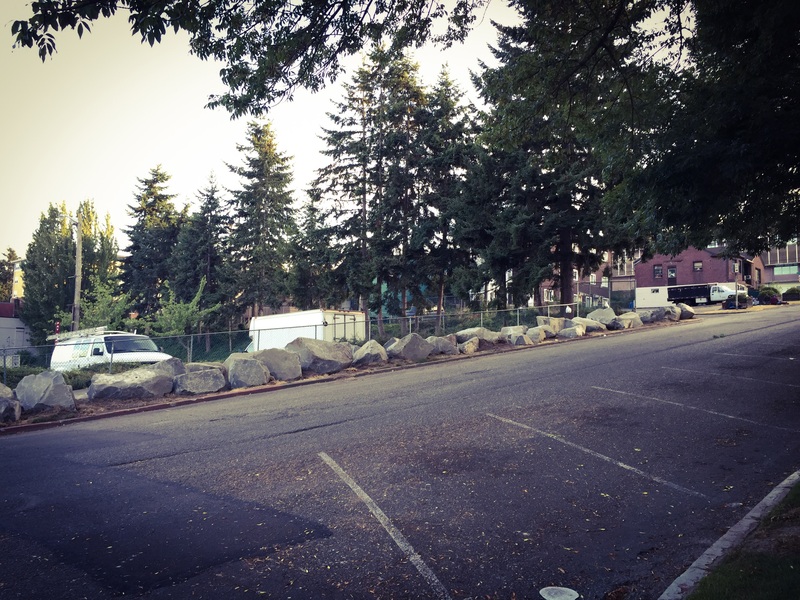 This entry was posted in Community Space, Tacoma, WA State - Pierce County and tagged boulders, concern, controversial, encampment, homeless, Main Branch, parking strip, problem, rocks, Tacoma, Tacoma Public Library on July 15, 2015 by admin.